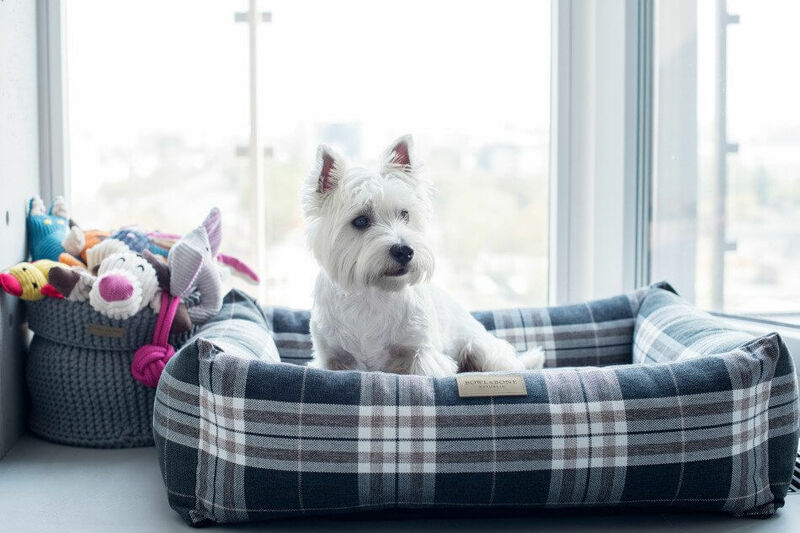 SCOTT blue dog bed by Bowl&Bone Republic is a guarantee of style and good taste. You will not pass by it without looking. You will appreciate the attention to details and specifics of the finish. The awareness of making a good choice will accompany you every time you notice your beloved dog laying delightfully down in his most important place in the world. Furthermore in addition, the arrangement of the entire interior of the dog lovers’ apartment will be perfectly complemented. Your pet will be delighted with it! 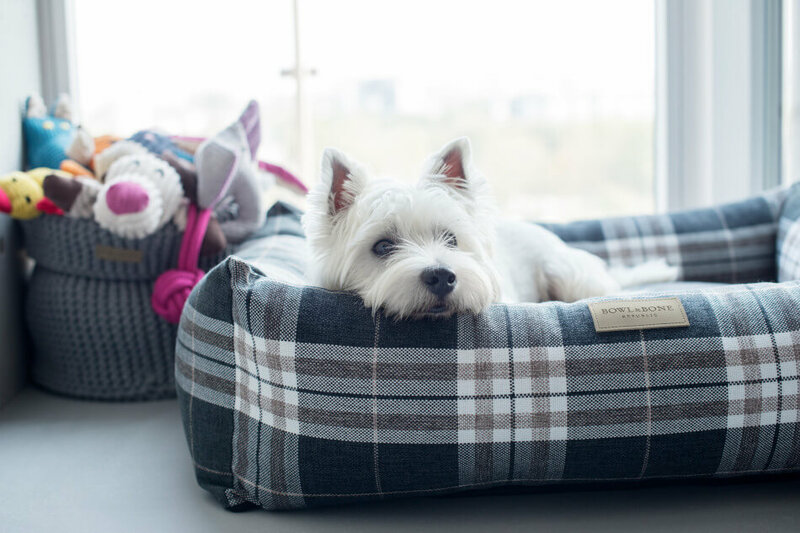 Dog bed SCOTT by Bowl&Bone Republic is a combination of tasteful grid design in a stylish version. This modern design will delight every dog ​​lover. The bed was made with exceptional attention to detail and the smallest features. Your pet will not be able to pass by next to his new SCOTT blue lair. In addition Bowl&Bone Republic products are certainty of comfort and the highest quality of workmanship. Bowl&Bone Republic is a European brand with a long tradition. Consequently we design and create our unique accessories exclusively on the old continent. 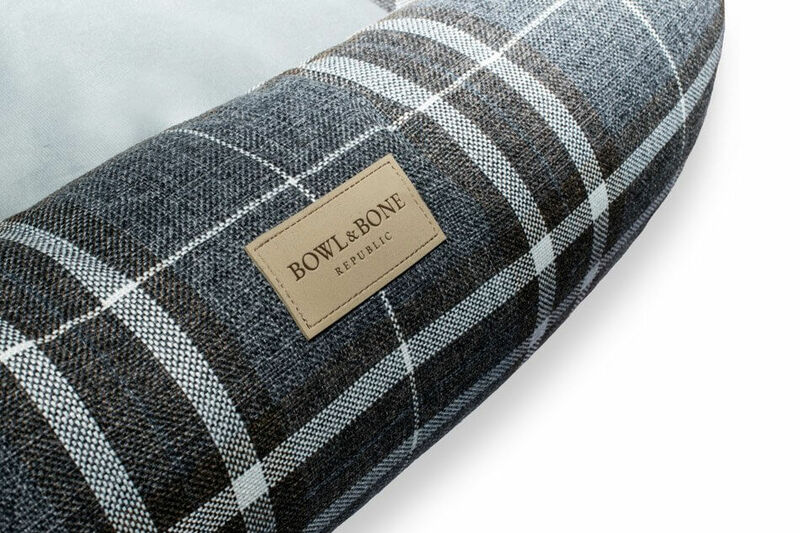 Above all Bowl&Bone Republic products are a guarantee of comfort even for the most demanding pooch. Drawing inspiration from the elegant and timeless design of the classic plaid, we have designed a unique line of SCOTT beds. Pure form combined with thoughtful details will give a unique style to the most demanding interiors. The combination of a traditional motif with a classic but modern form of bedding creates a very effective combination. It will perfectly diversify the decor of your interior, giving it a unique character. 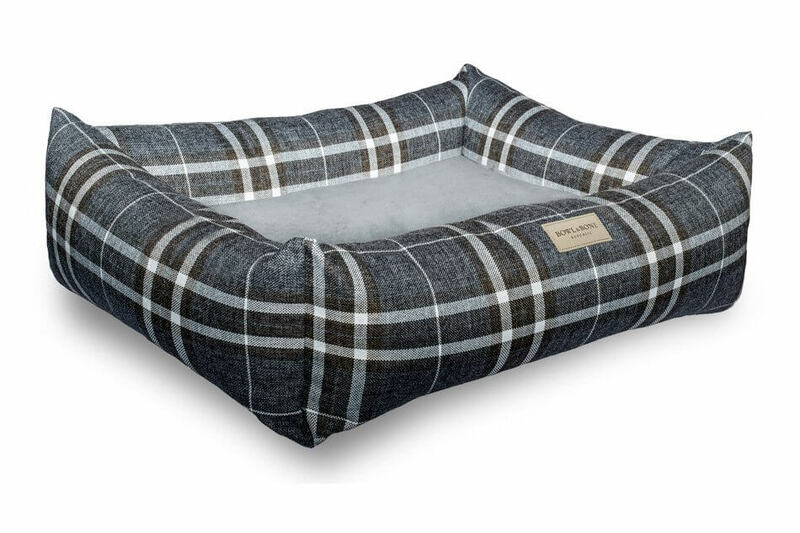 We fill the interior of the SCOTT blue dog bed with the highest quality, certified artificial down. Such a filling is not only flexible, but also fluffy and elastic, thanks to which it adapts to the poodle and is resistant to deformation. In addition, the filling is anti-allergic, so it will perfectly suit the needs of more demanding dogs. It works perfectly as a bed for sensitive pets as well. You will remove the cover efficiently with a few movements thanks to zip fasteners. Both the cartridge and the cover is washable by hand or in an automatic washing machine in a gentle cycle at a temperature up to 30°C. After washing, remember to completely dry the bed cover, preferably in a flat condition. To maintain the highest quality please do not dry it in an automatic dryer, dry clean or use bleachers. If necessary iron on low. In order to extend the use of our products, we kindly ask you to follow the detailed cleaning instructions provided on the product label. 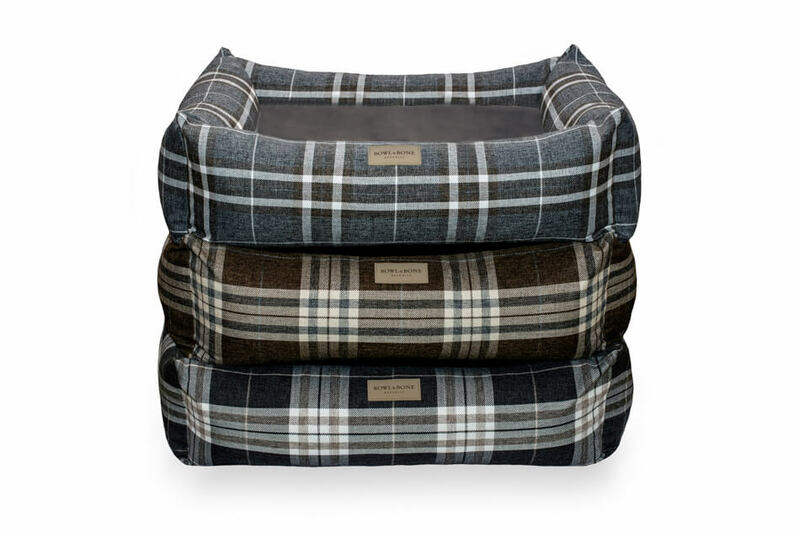 SCOTT beds are also available in brown and grey color versions. The approximate time of completing an individual order is about 10 working days.